NGS-IQ™ now supports reporting from smartphones and other mobile devices. 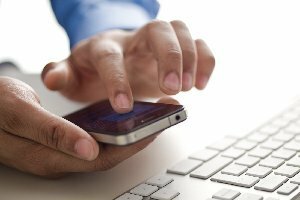 All you need is the authority to access IBM i from a Web browser, and you can instantly begin running NGS-IQ queries and viewing results right on your Android or Apple device. NGS-IQ lets you design HTML report output that is optimized for the device of your choice, so you have the power you need to make critical information available to those who need it – anytime, anywhere – without writing Java or PHP application programs. Even more amazing, NGS-IQ can deliver formatted HTML reports to your smartphone with graphical images like inventory items, employee pictures, and on-demand drill down from summary to detail – without the overhead of ODBC or JDBC. Your queries run efficiently and securely on IBM i.